Roasted/Salted, Unsalted, Green Chili, Red Chili, Habanero Limon, The Works, The Chili Bag, Garlic, Lemon Lime, Ranch, Bacon Ranch, Spicy Ranch and BBQ. 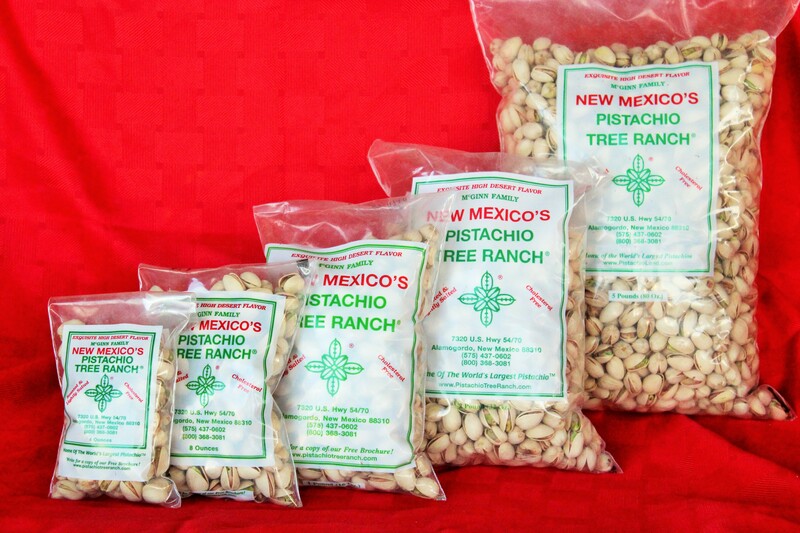 Many wonderful flavors of pistachios packaged in our poly plastic bags. Sizes range from 4oz, 8oz., 16oz. (1lb), 32oz. (2lb) and 80 oz. (5lb). Flavors are intense and chili is spicy.